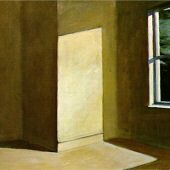 Hopper first began painting the effects of sunlight as a young art student in Paris, and this interest continued throughout his career. 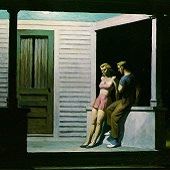 As a mature artist, he lived and worked in New York City and spent most of his summers on Cape Cod, Massachusetts. 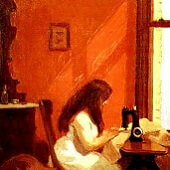 He designed and built a sunny, secluded studio at Truro on the bluff overlooking the ocean. 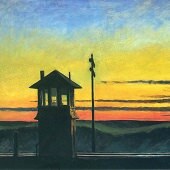 This painting is based on the view out the back door of the studio. 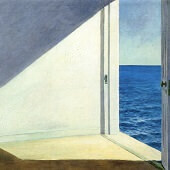 Titled in his record book "Rooms by the Sea. 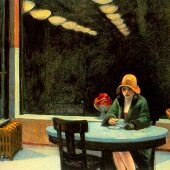 Alias The Jumping Off Place," Hopper noted that the second title was perceived by some to have "malign overtones" and he thus deleted it. 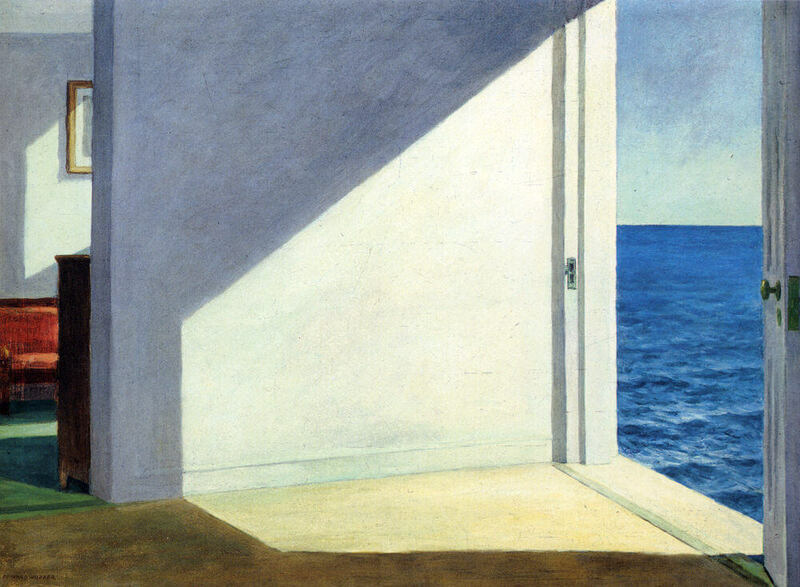 While the view from the studio suggested the composition of Rooms by the Sea, the image is more an evocative metaphor of silence and solitude than the transcription of an actual scene. 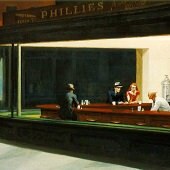 Hopper had a way of communicating his inner life...feelings of despair and desolation, as well as his sense of beauty...finding them in the buildings and objects he painted. 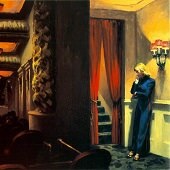 He filled empty rooms with the mystery of existence and his own spirit. In essence, he, like Van Gogh, was painting not just the objects themselves, but turning them literally into self-portraits.